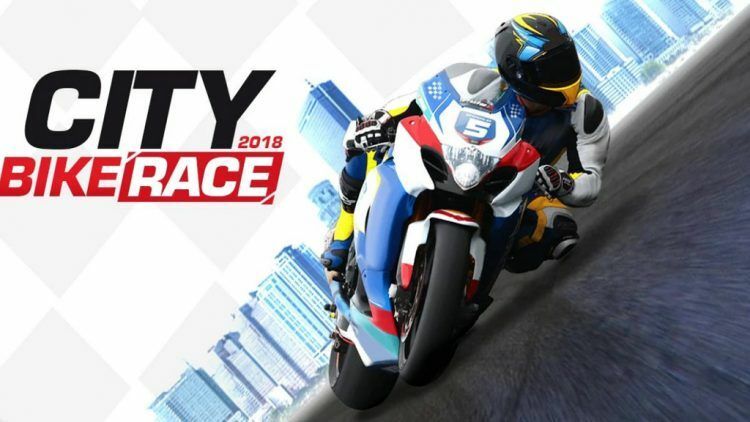 City Bike Race on PC is a game that will let you race to the top. In efforts to get there, you will have to overcome a lot of hurdles and obstacles. Needless to say, victory does not come easy. While riding, you will be dodging traffic on the unforgiving urban tracks. As you do this then you should ensure that you do not crash or fall off your race bike. To finish first and fastest, it is necessary to accelerate to the top speeds. The environment has been spectacularly designed for riding. It will even motivate you to unveil your best bike tricks. When playing City Bike Race on PC, the tracks are your home and you have to show that you can takeover. There are slow vehicles all over and to get ahead of them then you will have to make the best use of your boost power up. It is also possible to upgrade and get a better bike. The fact that you get to choose our own bike is a plus as far as the gameplay is concerned. Looking to gain control? The bike comes with speed and advanced power all of which you can control. The races are adrenaline filled and every exciting moment will count for something. It does not matter whether you want to jump or apply all other racing tricks in the book provided that you get to the finish line. This classic city racing game comes with a handful of the best features. There is an array of city environments to challenge and everything is presented n realistic 3D graphics. The bikes are amazingly designed and stellar on the roads. Customization is also possible and control is all yours. To cap it off, the beautiful background music is the icing to the cake. Granted doing stunts and tricks on your bike is a lot of fun but you do not want to over-complicate yourself or show off tricks on low gas. Tricks are secondary to getting to the finish line, therefore, do not focus too much on them. Also, ensure that you have enough gas before jumping. It is important to keep your bike steady when riding near loops. Do not tilt your phone on these occasions in order to maneuver successfully. Tilting will make navigation hard and simply make you lose your balance. Upgrading your bike and unlocking new features will only make you stronger and much more competitive. New bikes that are different from your default bike that can also be unlocked. Be on the lookout for such bikes. You should ride safely at all times. Although you may want to complete all the levels quickly, taking it easy is the best thing to do sometimes. There is nothing wrong with being slow but sure.